When you are planning for a SHTF situation, the goal is to have everything accounted for. You’ve likely double- and triple-checked your bug-out bag (Trucker’s Friend? Check!). You’ve got a plan for where to go and how to build a shelter. You’ve probably got everything you need to make a fire to stay warm, purify water, and find and cook food. Well, you probably have almost everything. There’s one thing you will have to gather when you reach your destination: firewood. Building a fire is absolutely essential for your wilderness survival. A chainsaw is ideal for cutting firewood (read about how to use a chainsaw the right way here) but if you don’t have access to a working chainsaw, a camp axe or camp bow saw can be an option for small to medium size logs and still fit in your bug-out bag. Your survival could depend on knowing certain things about firewood. Here are a few. hardwood – comes from deciduous trees, which are trees that have leaves that fall off. Typically, you can think of these as any tree that has leaves. 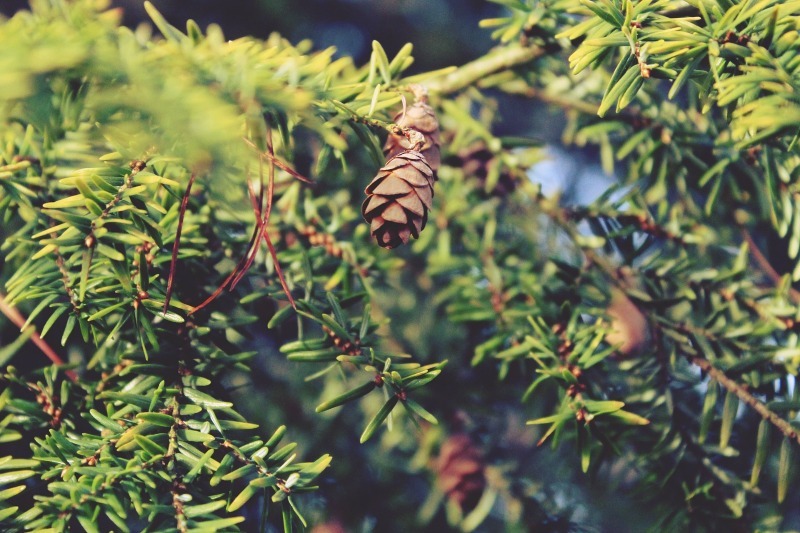 softwood – comes from evergreen trees; these are trees with needles. Typically, hardwood is more dense than softwood. That means that hardwood will burn longer than softwood. However, softwood has more space for air. Because air is essential for the fire to burn, the softwood will burn hotter. It’s also easier to light softwood. If you want to create a fire that burns fast and hot, you want to use as much softwood as possible and leave as much space as possible for air. If you want the fire to burn longer or if you want the coals to stay lit overnight, you need hardwood. Hardwood coals have been known to glow red-hot for over ten hours. As trees grow, they pull water up through their roots, and it spreads through all of their cells. That’s why you can’t burn wood as soon as you cut it off the tree. It has to dry out. Finding wood that is already dry is the best option for starting a fire quickly. Otherwise, you would have to dry it yourself. To find dry wood on a dry day, you can typically just gather branches that have fallen off of trees. Be sure to gather dry leaves and dry grass to start the fire. Then, pick up dry twigs and progressively larger branches. You’ll want to build your fire so that the branches catching on fire get larger and larger until actual logs are burning. But what should you do if it’s been raining? Look up in the tree branches themselves. As branches die out, they fall but sometimes get caught in other branches. Since they’ll be held off the ground, they’ll stay dry even when it rains. Also, look for branches that are sheltered from the rain under rock outcroppings or thick trees. You can still gather a lot of wet wood because layering them on an already hot fire will dry them out. 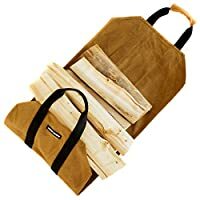 While not absolutely necessary, these firewood accessories will make your life easier. They are light in both weight and volume, and could save you a lot of tie and energy while bugging out. If you need a fire quickly, you have to gather as much dry wood as possible. Once you’ve got that fire burning, you can start to plan ahead. 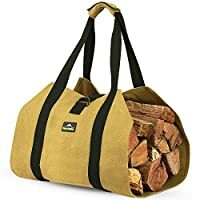 It’s absolutely impossible to have too much firewood around. It’s essential for purifying water if you’re not sure of the source, cooking food, staying warm, and creating light. Once you’ve got your campsite set up with your fire burning, you should gather dry and green wood. You need to make two piles when you get back to camp. 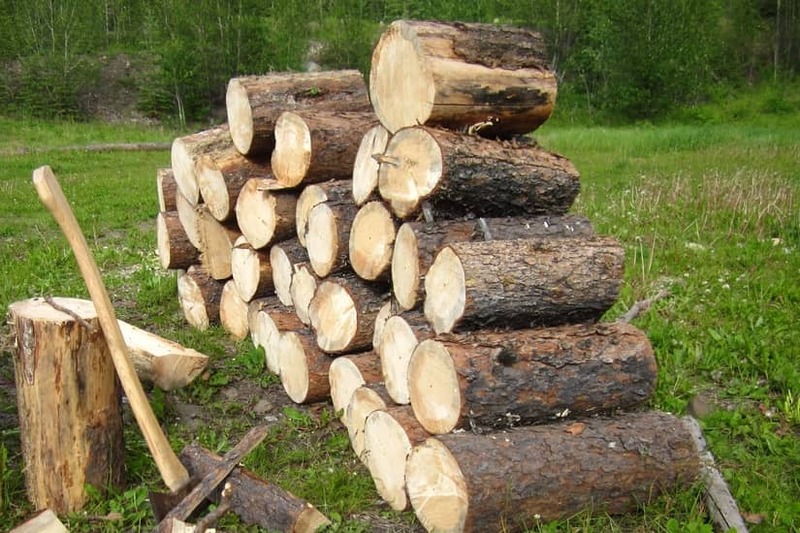 Find large logs to form the base of your wood pile. Line them up parallel to each other. Then, lay other logs on top of those perpendicularly. The goal is to keep the wood off the ground so that it will dry out. See more about stacking fire wood here. Stack the dry wood in one pile and the green wood in a different pile. Even though the wood you find might be dry, it still holds moisture. Moisture in the wood brings down the fire temperature, creates thicker smoke, and impedes the lighting process. The drier you can make the wood before you burn it, the better. If you cannot find sufficient amounts of dry wood for your fire, you’ll have to dry green wood. Build up your fire with dry wood and get it as hot as possible. Ideally, you will then stack the green wood close to the fire. The heat of the fire will hopefully dry the wood. 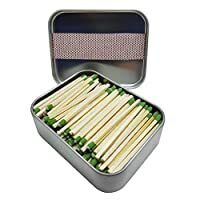 If you need the green wood soon, use the smallest twigs of green wood possible. Stick them in the hottest part of the fire to drive the moisture out as quickly as possible. Green wood tends to be cream, tan, or white in color. Dry wood should be gray, dark brown, or yellow. Also, you can smack two pieces of wood together to determine if they’re dry. Dry wood should have a hollow sound and not a thud. If you have the option for choosing which kind of wood you want in your wood pile, you should be able to identify trees. 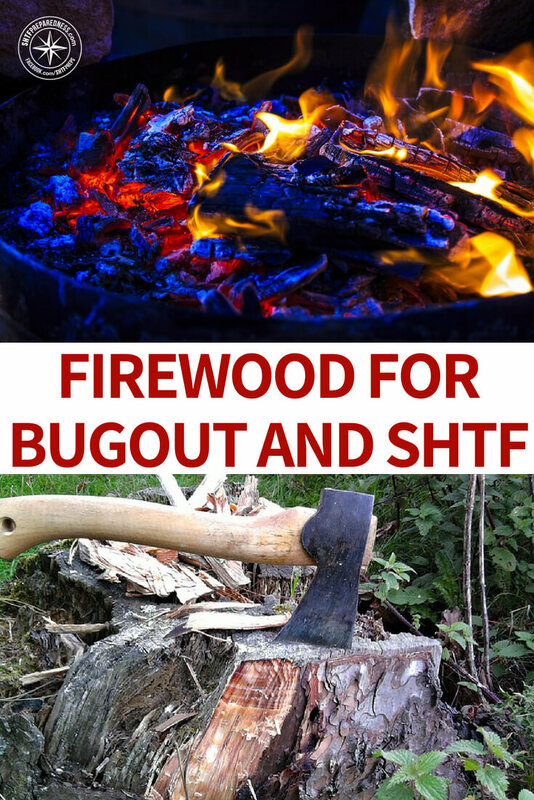 Once you can identify the different types of trees, you’ll be able to choose which wood is right for your SHTF situation. Here are a few of the better firewood trees with pictures for easy identification. 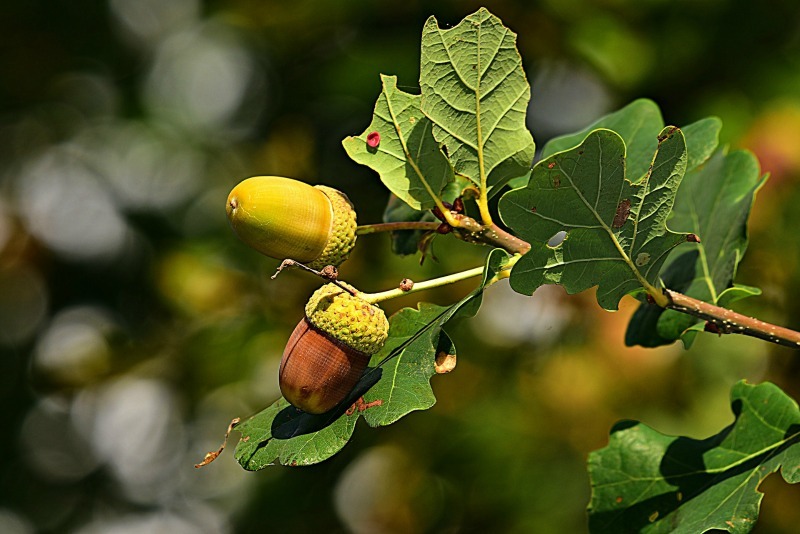 Oak is one of the best woods for burning; it produces a hot fire and burns for a very long time. The embers stay hot for a long time as well; however, it takes a very long time to season green oak wood. Fruit woods tend to burn steadily and produce decent heat, but they do not produce much light. Their flames are fairly low, which could be good if you don’t want to draw much attention to yourself. 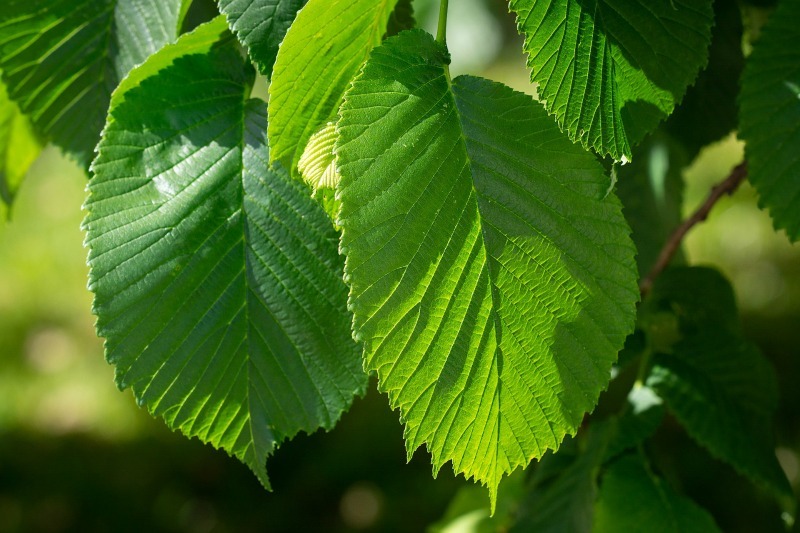 Elm burns very slowly and takes a little more work to light. It is the ideal wood to put on the fire before you go to sleep because it burns slowly. Softwoods such as pine burn very quickly with bright flames. They are typically very resinous, which means that they will produce a large amount of smoke. The smell of the smoke can be somewhat pleasant. 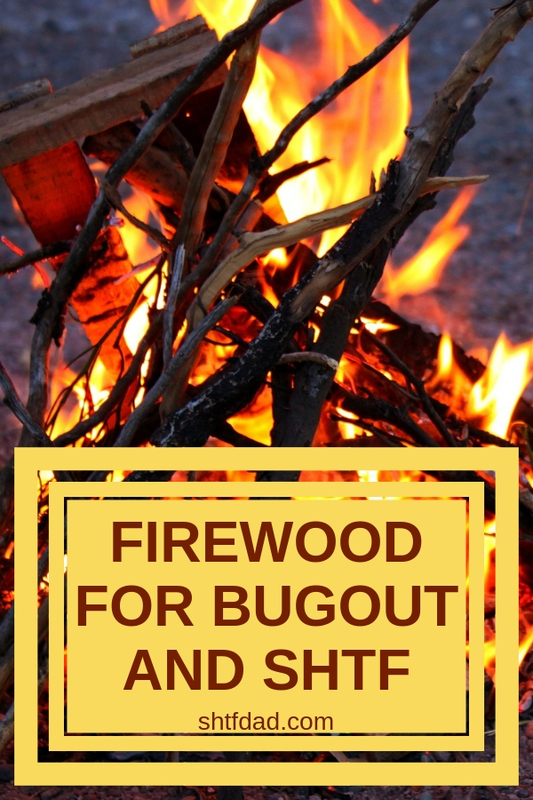 These are just a few of the basics about choosing firewood. You need to make sure you find dry twigs and branches for burning. Stack firewood off the ground so that it dries. Keep your dry wood in a different pile from your green wood. Source as much hardwood as you can. Softwood burns bright and fast; it’s great for starting a fire. Hardwood will last longer. If you follow these general guidelines when the “s” hits the fan, you should be fine.